Epigenetics, Nutrition, and Our Health: How What We Eat Could Affect Tags on Our DNA | What is Epigenetics? Many of us are familiar with the foods that damage our bodies – they slow our metabolism, might add a few pounds, and stiffen our arteries. But what if certain food items could help or harm us in a place we may never have considered – like our DNA? A developing field called nutriepigenomics examines the connection between diet and chemical marks that can be attached to or removed from our DNA, thereby turning genes on or off. Many new studies suggest that certain foods or supplements may be able to adjust the expression of our genes, potentially influencing our health, for better or worse. Interestingly, many health professionals are beginning to incorporate epigenetics into their practice with the goal of providing more targeted and individualized treatment plans for the future. Countless factors including diet, exercise, and environmental exposure are all elements of our lives that have been shown to play a role in switching genes “on” or “off” via epigenetics. By adjusting the lifestyle factors that we can control we have the potential to reduce disease risk and make a positive impact on our health. 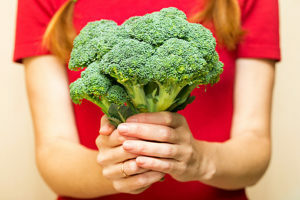 Consuming plant flavones has been connected to changes in DNA methylation and reduction of cancer. So, what exactly is epigenetics and how can these marks or tags affect gene expression? After all, we’ve likely been living by the deeply-rooted notion that “our genes are our destiny” and epigenetics surely shakes up this relatively recently upturned misconception. Epigenetics is the study of heritable chemical marks on specific parts of DNA that adjust the expression of our genes without affecting the underlying genetic sequence – the string of A, C, T, G bases all of us are familiar with. Essentially, chemical marks attached to or removed from our DNA can influence our phenotype without ever altering our genotype. Still confused? 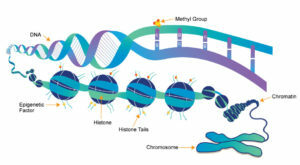 Read a simplified explanation of epigenetics. DNA methylation, for instance, is a well-known epigenetic mechanism characterized by the attachment of a methyl group to DNA by an enzyme called DNA methyltransferase (DNMT), which stifles gene expression. New research links the Western Diet to changing DNA methylation levels in mice, which could harm the development of offspring even before they’re born.2 Food items like plant flavones and have been connected to changes in DNA methylation across the whole genome and on particular genes. 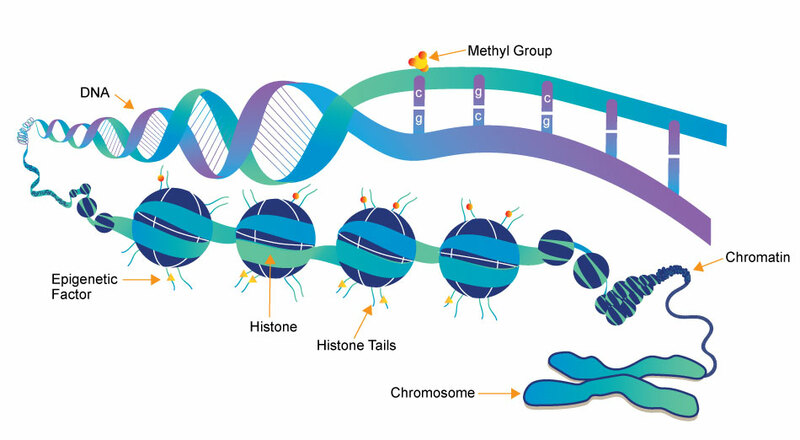 Another popular epigenetic mechanism known as histone modification is when histone proteins and DNA, a complex known as chromatin, become condensed or relaxed as a result of added or removed chemical marks, such as methyl or acetyl groups, on histones. Typically, the more open and relaxed the chromatin structure, the more available it is for transcription and therefore, the greater the gene expression. Tighter chromatin restricts the expression of genes. When we eat, tiny molecules that are broken down from food including carbohydrates, proteins, fats, and vitamins, are transported throughout the body to be used as energy or as building blocks. Of course, we know that consuming too much sugar or fat can lead to obesity and set us up for diseases like diabetes or heart disease, and epigenetics gives us some insight into a part of the underlying mechanisms related to diet, disease, and our health. We may be able to manipulate the dietary bioactive compounds we consume in order to affect epigenetic alterations. More than 1 out of 3 U.S. adults are obese, which sets them up for multiple health disorders and increases their likelihood of an early death.5 Previous research has shown that there may even be an epigenetic switch that, once turned on, may set us up for obesity later in life.6 Furthermore, epigenetic marks which influence signaling pathways might help predict a person’s likelihood of developing Type 2 diabetes7 or play a role in an individual’s chances for developing addictive behaviors8. By utilizing personalized services which are becoming increasingly popular, we may be able to better monitor our health and make the right choices to improve it. 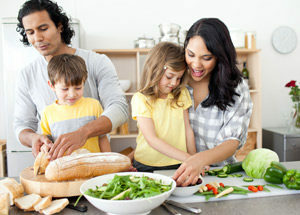 According to Kristy Hall at Living Well Nutrition, professional epigenetics and nutrition guidance could be offered to find balance through a wholesome understanding of one’s health. Scientific research is demonstrating that nutrients in different foods and supplements we consume may be able to adjust or reverse epigenetic mechanisms. 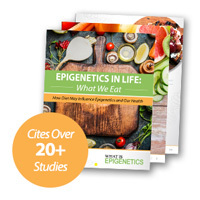 While more studies must be conducted, the collection of fascinating epigenetic evidence can be used to support better lifestyle choices which are oftentimes already recommended for their general health benefits. Along with diet, exercise can have an influence on the epigenome. Numerous foods and supplements used in many studies assessing mouse and human models lend support the notion that epigenetics is highly involved in adjusting epigenetic tags, affecting our health and susceptibility to disease. The combination of these compounds were found to epigenetically reduce stress and depression by modulating inflammatory responses and synaptic plasticity in the brains of those with depression. Phytochemicals like these are of particular interest to the scientific and health community due to their strong antioxidant, anti-inflammatory, antimicrobial, and anti-tumorigenic activities that contribute to health and wellness. “Inflammation is involved in every step of tumorigenesis so when trying to protect against the development of cancer, it is useful to examine inflammation in the body,” noted Hall, who takes a close look at possible causes of inflammation in her clients. Grape-derived compounds may epigenetically promote resilience against depression. Biochemically, there are inflammatory compounds that are self-perpetuating known as hydroxyl radicals and peroxynitrites, she explained. Hall emphasizes the importance of using epigenetic information to create a focused protocol to support healthy biochemistry. “By assessing variants in an individual’s SOD and catalase genes, for example, we can determine his or her propensity of developing these inflammatory compounds and try to reduce them,” she said. Along with inflammation, DNA damage is crucial to our health. It’s linked to why we grow older and why we might develop certain diseases like cancer. Blueberries are incredibly high in antioxidants and it’s thought that this “superfood” can epigenetically reduce DNA damage, thereby protecting humans against cancer and possibly even slow aging. 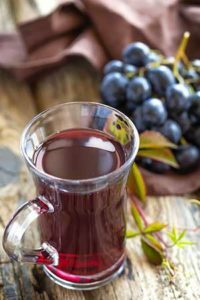 Blueberry juice and vitamin C have been shown to be potential methylation inhibitors for the MTHFR gene and the DNMT1 gene in humans.10 According to recent research, antioxidants may exert their biological effect through epigenetic modulation of DNA methylation and potentially other epigenetic mechanisms. B vitamins have potential to epigenetically protect against harmful pollution, which we may come in contact with at different stages of our lives and in various locations around the world.12 Air pollution has been shown to disturb DNA methylation profiles, which could worsen inflammatory and oxidative responses. Supplementing with B vitamins has been demonstrated to be able to prevent these changes. Getting the whole picture of a person in numerous facets of life including diet, lifestyle, and their epigenetic profile will help drive successful health choices and can inform appropriate individual lifestyle adjustments. “I spend a great deal of time looking at the various layer’s on someone’s health in order to create a personalized, precise protocol to optimize their health at their current phase of life,” Hall said. It’s true that we’re straying from the “one-size-fits-all” mentality of healthcare and beginning to focus on the individual now more than ever. When’s the last time you really thought about how the foods you eat positively or negatively affect your body, health, and wellbeing? We’re all familiar with the benefits of eating healthy and the consequences of a poor diet, but we likely overlook the underlying molecular processes that are at play. With more research and an increasing amount of practitioners like Kristy Hall, MS, RNCP, ROHP utilizing epigenetic information that’s unique to the individual, we can begin to unravel the mysteries of what may be contributing to our ailments and what could be done to help improve our health with a much more comprehensive understanding. It’s intriguing to follow the progress of epigenetic testing and the benefits that analyzing the epigenome can have on guiding proper health regimens. As we continue to learn more about the impact our lifestyle has on epigenetic marks and the personalized insight it offers to us, this important new information can help point us in the right direction for optimized health and wellbeing.